Save Vacation Time, Book European City Tours Before You Leave Home Book Europe Discount Cards at least 2 weeks prior to travel - this card ships prior to your travel . . .
of the most visited monuments in France, and an UNESCO World Heritage sight unscripted in 1979.
was once a mighty international trade center, but when the shifting silt closed the harbor off from North Sea, over the centuries it soon became the poorest city in Belgium. But tourism has saved this town, its beauty and charm, peacefulness are pluses, but so is the food and chocolate! Burgundy + Dijon Excursions Chablis and Vezelay, wine and spirituality : discover Chablis, and its vineyards, taste the delightful white wine, then continuation to Vezelay, the "eternal hill", and visit to the Romanesque Basilica. The Burgundy region offers both rich history and wonderful wine. Since ancient times, its geographical position brought great prosperity with its famous wines and famous abbeys was magnified during the Middle Ages. The region was a center for crusades and pilgrim-age, visits to Beaune, Dijon and Macon famous Burgunday wines! All Paris Tour Options Normandy Battlefields, War Memorials and more - this is a must for all veterans and families of those veterans to visit this most revered place. 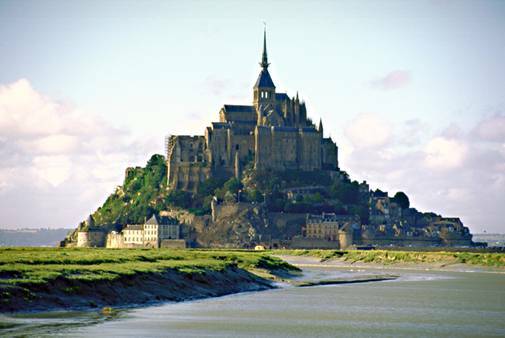 Rediscover the sites where the Allies fought to regain Freedom. It will be with strong feelings when you visit some of the areas where the Allies fought to recover freedom in 1944. There are several War Memorials, The American Cemetery in Saint-Laurent, where 9,386 Americans rest guarded by the Spirit of the American Youth, a 22 foot-high bronze figure, and the Landing Beaches, 70th Anniversary was celebrated in 2014. Palace of Versailles - is the most visited monument besides the Eiffel Tower. This reconfirms our travel tip to buy your ticket before you leave home, because the lines are long to see the magnificent palace. 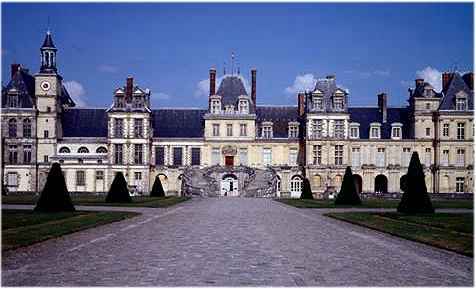 Versailles Palace is a symbol of France's grandeur during the reign of the Sun King, Louis XIV. Some of the tours include different aspects of Versailles, including the Grand Trianons from April to September on Saturday and Sunday afternoons, the magic fountain display in the gardens. Some visits have audio guide in the State Apartments (Hall of Mirrors, Queen's Apartments). View all Versailles tours. ENGLAND TOURS - your first or fifth time to London, traveling around on a vintage Routemaster [the famous red double decker bus] is the perfect way to get a comprehensive view of London. This is the classic and famous red double-decker tour bus! Or the hot way to see London is on the London Eye! bus and head for Buckingham Palace. Big Ben, the Houses of Parliament and the London Eye. Stonehenge, Windsor Castle or Bath, Cambridge & Oxford, and the Cotswolds, and Warwick Castle, or Leeds Castle, Runnymede or York, oroff to Canterbury or the Eurostar to Paris. Lake District Tour Options IRELAND TOURS - Experience the 'Green of Ireland' a must travel to once in a lifetime experience. Explore Belfast, Dublin and Killarney, with airport transfers, various sightseeing tours in and around these cities. Explore Ireland's west coast highlights on a coach and rail day trip from Dublin to the wild Cliffs of Moher, the Burren and pictur-esque Galway Bay. Dublin offers day tours to the Cliffs of Moher, Cork and Blarney Stone, or visit northern Irelands on a rail tour, take a train trip to the Ring of Kerry, visit Guinness Beer, take the red Hop Off Hop On bus, visit the great Dublin pubs, castles and friendly Ireland! day tours to enjoy all of these wonderful Irish cities, and you'll find something for everyone!. Edinburgh Castle, Holyrood Palace, Arthur's Seat, Calton Hill, Scott Monument, Eilean Donan Castle (set of the movie Highlander) and the most historically important castle is Stirling Castle and was Scotland's most important medieval stronghold that sits high on a volcanic outcrop and fortification on the rock since 1000 BC, guarding the main route north into the Scottish Highlands. And don't miss a must visit Loch Ness - home of course to the Loch Ness Monster! There is something for everyone! See more and save more with the Edinburgh Hop On Off Bus and special tours in historical Edinburg., with shuttle transfers to/from the airport, great savings while in Edinburgh plus lots more. A visit to the Scottish Highlands might entail the Orkney Islands and a wildlife cruise from John O'Groats. The Grand Salzburg City Tour Includes: Hellbrunn Palace and the 24-hour Salzburg Card allows you to visit wonderful sights including Mirabell Palace plus . .
Includes a 24 Hour Salzburg Card which offers you free admission to all major Salzburg sights and free rides on all public buses within Salzburg City limits. The Salzburg Card includes a visit to Stiegl's Brauwelt Europe's biggest beer exhibition, and a possible visit to the famous Hellbrunn 'Water Tricks Fountain' (April to October), where you are sure to get a wet surprise! Your Brussels Half Day City Tour begins with a short walk to discover the heart of medieval Brussels in the famous Grand Place, with its world-famous Market Square. Here, you will hear about the history of the remarkable City Hall and quaint Guild Houses. Next, tour the city by luxury coach to see the beautiful St. Michael's Cathedral, the Congress Column, the Heyseldistrict with the world-famous Atomium, the Chinese Pavilion and the Japanese Tower. Passing the Royal Residence, return to the city center to see the Sablon district with its countless antique dealer shops. You can choose between the standard morning city tour or upgrade to the afternoon tour which includes an irresistible Belgian chocolate demonstration and tasting. It's no secret Belgium makes some of the world's finest chocolate, so come along and sample some of the best pralines and truffles in the world! Watch a demonstration by a master chocolatier and obtain a greater appreciation for this irresistible pleasure. - Free city map GERMANY TOURS - visit the German cities of Berlin, Cologne, Frankfurt, Hamburg and Munich, or take a wonderful and scenic day cruise on the Rhine River from Mainz, Koblenz, Cologne, Bonn or the nostalgic route from Koblenz to Rudesheim. called 'the cradle of the Nazi beast'. the river and all the castles. GREECE TOURS - Greece dates back over 5000 years, and is considered the birth place of European civilizations, and this amazing city of Athens for all to explore with these great optional day tours. From the Acropolis dating back to 432 BC to Omonia Square, you'll see all the famous sites of ancient and modern Athens. Explore the most famous sites of classical Greece in depth on an overnight trip to magical Epidaurus, Mycenae, Nafplion, Olympia or Delphi, or all of them . Famous for its theater, Temple of Apollo and ancient ruins, Delphi was at the heart of the classical Greek world, and considered the center of the earth and the universe. ITALY TOURS - Experience Italy in all her splendor whether it's a trip to Rome, Naples, Florence, Milano or Venice or any of the other fabulous cities of Italy, it is the experience that will make you want to come back again and again! The ancient wonders will amaze you, the cuisine will enthrall your senses and your overall experiences will be remembered always! Historians and architectural professionals and buffs love Italy and her Roman antiquities. time in history, and controlled the vast Empire that it did is abslutely amazing considering they didn't have our modern, communication or transportation systems! All Italian cities tours can be found by clicking on a link to the right and then at the left go to a categorized listing of what you're looking for. NETHERLANDS - HOLLAND TOURS - Amsterdam offers over 40 activities for your every interest, whether half day walking tour of Amsterdam, or a canal cruise, visiting the famous windmills, a visit to the Anne Frank House, Rembrandts home, and other monuments and museums. The Delta Works that keep Holland protected from the Atlantic, and famous Dutch cheese production, and so much more. Lisbon to Obidos, Nazare and Fatima and the Sanctuary Basilica. Just one sightseeing tour of Lisbon takes you on a drive down Liberty Avenue to Rossio, in the very heart of the city. You'll then visit Alfama is the oldest and most picturesque quarter, and you will stop here for a wine tasting in a handicraft store. The tour continues along the riverside to admire Black Horse Square, before crossing the bridge over the Tagus. You will then have stops at Belem Tower and the Monument to the Discoveries, perhaps Lisbon's most famous sight. Or a visit to Jeronimos Monastery [a UNESCO World Heritage site] and to the Coach Museum, with the world's largest collection of opulent coaches built for the aristocracy, dating back to the 17th century. Or Enjoy an unforgettable afternoon excursion to discover the "Sunny Coast" of Portugal and its beaches. You'll tour Estoril, the colorful Bay of Cascais and the picturesque cliff of Boca do Inferno, Guincho. SPAIN TOURS - Purchase a Barcelona Card w/Guidebook and save on major attractions and monuments. Or purchase a Madrid card, this is the best offers for art galleries, museums, palaces, shows and much more. Or take a Madrid Tapas night walking tour, and if you haven't had Tapas this is a real treat! Take in a Flamenco show or try one of the hot Segway Tours. And a visit to the Pyrenees Mountains is a special treat indeed. Some great and unqiue cheeses are produced in the Pyrenees. Travel to bAsque country, and you're in for a treat with the food, the people and the sights to see. A visit to Bilbao and a must visit to the famous Gugenheim Museum a work of art itself, and the Euskalduna Palace, and more . . .
Majorca Island Tours, and a scenic tour of Palma de Mallorca the capital of the island of Majorca, is famous for its beaches and beautiful sea, has a beautiful historic quarter, deeply marked by history. Or visit the Caves of Drach, Caves of Ham, or the Formentor and Puerto Pollensa, Valldemossa and La Granja, or the Inca Makets Shopping tours - there's much to see and do on the Majorca. SWITZERLAND DAY TOURS - Switzerland, her magnificent Swiss Alps and wonderful culture centers of Geneva , Lucerne and Zurich , where you'll find the best local and nearby tours The perfect way to see Geneva is a combination city tour, boat cruise and visit to the countryside! Geneva remains a charming, cosmopolitan hub and the center of the world's peacemaking organizations. Accompanied by a local guide, jump a bus, board a cruise and ride a train through old town for an in-depth half day city tour. A Lucerne City Tour is a full day trip to central Switzerland and then take a beautiful coach ride over the Albis Pass and along the Lake of the Four Cantons shores to Lucerne. Upon your arrival, a short city tour will introduce you to the main highlights like the Lion Monument, Chapel Bridge and the new Concert and Congress Hall. Just a short distance to the Swiss Alps and a multitude of outdoor activities await you in this magnificent and beautiful area. Zurich, the Capital of Switzerland has much to offer you in the way of sightseeing. CROATIA TOURS - Dubrovnik Panorama City Tour - Dubrovnik is referred to as 'the Pearl of the Adriatic' - find out why! This tour will reveal the finest sites of the old walled City as well as give an opportunity to view it from above at the spectacular panoramic spot. Or be sure to enjoy one of many day tours from Dubrovnik that are listed below. This tour will reveal the finest sites of the old walled City as well as give an opportunity to view it from above at the spectacular panoramic spot. The walking part includes the visits to the Dominican Monastery with Europe's oldest pharmacy and Dubrovnik's Cathedral with its famous Treasury. Our expert guide will lead you through the narrow streets of the Old Town and introduce you to the history and culture of this magnificent city. Other splendid buildings will be viewed along the way. Dubrovnik is referred to as 'the Pearl of the Adriatic' - find out why! Or a Prague in One Day Tour is both an easy walking and motor coach tour, that will take you by coach past the State Opera, National Museum and Wenceslas Square with its statue of St. Wenceslas. Then continue across Charles Square to the banks of the River Vltava to Charles Bridge, the Rudolfinum and across the river to Prague Castle. You'll have the opportunity to enjoy a walk around the castle courtyards, where amongst other things you will see St. Vitus Cathedral, the Royal Palace and Golden Lane. Then possibly a bus will then take you across the River Vltava to the Old Town, passing through the former Jewish Quarter. In the Old Town Square you will see St. Nicholas Church, the Tyn Cathedral and the Old Town Hall with its astronomical clock and 12 apostles. The tour concludes here, not far from the modern city center. Depending upon the optional tours that you select. Cesky Krumlov, Terezin Concentration Camp, Glass + Brewery Tour, Konopiste Chateau, Kutna Hora, Czech Spas Karlovy Vary + Marianske Lazne, Karlovy Vary, Nizbor Bohemian Glass Factory, Karlstein Castle and much more . . .
HUNGARY TOURS - When in Budapest don't miss the opportunity to take a morning tour of the city's spectacular Parliament House, and the largest Hungary. Possibly a tour inside the magnificent neo-Gothic Parliament building, home of the Holy Hungarian Crown. Your guide will lead you through the splendid Session Room, the impressive central staircase and the wonderful Great Vaulted Hall. You'll admire one of Budapest's finest architectural achievements. Some of the things to visit while in Budapest may be the residence of the President of the Republic of Hungary (Sandor Palota), the National Gallery, the Siklo, or the panoramic view the hill has to offer in all directions. You may also climb the Gellert Hill for fantastic photo opportunities of the city before crossing Elizabeth bridge and driving by the City Park towards Heroes' square (Promenade). Passing by the Opera and St. Stephen's Basilica you reach Hotel Intercontinental, where your tour ends.After leaving the castle hill, you will make your way down to the Taban, and from there up to the Citadel, located on Gellert-hill. In the hillside you will have a great view on the bridges crossing the Danube. POLAND TOURS - For over a thousand years, Krakow has been the center of science, culture and art in Poland. Come board the Krakow City Sightseeing Coach, where you'll see the likes of Wawel Castle and Cathedral, the Rynek Glowny, Main Market Square and St Mary's Church. It's a fine introduction to this historic city! Your tour begins with a short walk along the streets of the former Jewish district of Kazimierz. Next, Wawel Hill, crowned by Wawel Castle and Wawel Cathedral and the seat of royal power up until the 17th century. TURKEY TOURS - Istanbul, Izmir, Kusadasi and other cities and areas in Turkey have all become very popular destinations to travel, and a must visit at least once in a lifetime. DENMARK TOURS - If you love castles, Denmark has almost as many fairy tale castles as it does fairy tales! Visit the picturesque region of North Zealand just outside Copenhagen where you will see Kronborg Castle made famous as the setting of Shakespeare's Hamlet as well as the magnificent Fredensborg Palace and Frederiksberg Castle. Join the Grand Tour of Copenhagen and view all the major sights of the Danish, passing by Tivoli Gardens and the Ny Carlsberg Glyptotek, and the colorful canal district home to the National Museum to Christiansborg Palace, home to the Danish Parliament. Enjoy the best of Copenhagen by coach and boat on this tour of the city and harbor. Some of the city sights are best enjoyed from the sea, so take this opportunity to admire many wonderful towers and famous palaces. There are great photo opportunities including stops at the Royal Palace and The Little Mermaid. Your tour starts by coach, first passing the Tivoli Gardens, New Carlsberg Glyptotek (art museum) and the magnificent Gefion Fountain and Kongens Nytorv. At the old Fish Market, a pre-booked canal boat is waiting to take you on a cruise through the bustling harbour of Copenhagen. As you glide through the bustling harbor, passing many of the wonderful towers and famous palaces in Copenhagen - do not forget of course 'The Little Mermaid'. Continue through the picturesque canals of Christianshavn and Frederiksholm, where historical buildings are to be enjoyed side by side with the newest in architecture. For more information on all Denmark Tours. Bessastadir - visit the presidential residence at Bessastadir built between 1761 and 1766 and home to Iceland's President. Visit the town of Hafnarfjordur, famous for having one of the largest settlements of elves, dwarves and other mystical beings known as the "hidden folk". Perlan - in Reykjavik you'll go to the restaurant Perlan, which is built on water tanks that hold the city's hot water supply. Here you can enjoy the spectacular view over Reykjavik and its surroundings. FINLAND TOURS - visit this stunning Nordic city introductory sightseeing tour with live commentary from your knowledgeable guide. A great way to get orientated with the city, particularly for first time visitors. The city tour takes in the most interesting parts of Helsinki, such as the Presidential Palace, Senate Square, City Hall, Parliament building, Finlandia Hall and the Opera House. Or select from 12 languages on this self-guided Helsinki Audio City Tour. The tour takes the same route as the guided tour above. There are also sound effects to bring the sights to life and tie them in with the history of the city. Senate Square, the Presidential Palace, City Hall, the Opera House and Finlandia House are amongst the highlights. The tour will stop at the Sibleus Monument and, whenever possible, at Temppeliaukio Church - the church in the rock! NORWAY TOURS - you might enjoy a Full Day Grand Tour of Oslo you will enjoy seven and a half hours touring Oslo by boat and coach. Visit the fjord onboard a sailing ship where you will be served a buffet of prawns (shrimps) for lunch, before disembarking and joining your coach tour. You will visit the Polarship Farm at the Fram Museum, the Kon-Tiki Raft, Maritime Museum, Norwegian Folk Museum, the Viking ships, the Holmenkollen ski jump as well as the Vigeland Sculpture Park! Or perhaps the Oslo Experience Cruise and Tour would be another option for you. Enjoy a coach tour through the city of Oslo and see the center of Oslo, Fram Museum, the Viking ships and Kon-Tiki Raft. You will also visit the Norwegian Folk Museum, the Holemnkollen Ski Jump with museum and Vigeland Sculpture Park. Oslo Fjord Sightseeing Cruise is a Must! SWEDEN TOURS - on the Stockholm Royal Sightseeing Tour, you'll explore Sweden's royal family past and present on this sightseeing tour of Stockholm. Visit typical swedish farms and churches and see where the royal family live today in the UNESCO World Heritage listed Drottningholm Palace. Your first stop is the beautiful park at Ulriksdals Palace on the banks of Lake Edsviken in Solna just outside Stockholm. The park is part of Ekoparken, the first National City Park in the world. You will also visit the intriguing Haga Park where you will see a brightly colored copper tent atop the hill, Gustav III's pavillion and a charming butterfly house. Your tour continues to Lovos church dating back to the 11th-century. It was here that five runestones were found outside the church around 1050 AD. The last stop on your tour is UNESCO World Heritage listed Drottningholm Palace, home to the current Swedish royal family. This renaissance-style palace was built around the same time as Versailles and has beautiful geometric, baroque style gardens. Drottningholm, meaning Queen's islet is located on the island of Lovon. RUSSIA TOURS - The Private Grand Tour offers visitors the opportunity to take in as much as possible of the city in a day's sightseeing, a complete tour of St Petersburg's most famous sites from the comfort of a car or mini van and with a knowledgeable and experienced guide. The tour is an excellent introduction to St Petersburg- the second largest and most beautiful city in Russia. Over almost 300 years of its history St. Petersburg accumulated all the grandeur of the Russian Imperial Court and became one of the largest centers of culture and science. Visit the magnificent summer residence of the Russian Tsars. A comfortable chauffeured drive will take you to the town of Pushkin (Tsarskoye Selo), where you will find a jewel of Russian baroque- Catherine Palace with the Amber Room inside, which is considered to be one of the world's wonders. A pleasant walk through the park will let you feel like you're an important guest in the Residence of an Empress.